Marketing is a necessary but sometimes very costly aspect of acquiring and keeping customers. Paying for ad space in publications and on web pages, organizing costly events, or giving away branded swag at events can all add up. That being said, there are ways to advertise your product or service without breaking the bank and one of those ways is blogging. But why blogging? It is a way to establish and nurture relationships with clients while building or nurturing your brand value. Here are a few ways blogging does this. Establish and maintain your brand A business, that blogs does more than simply talk about its product or service. It creates conversations while putting opinions and ideas out there in the industry. 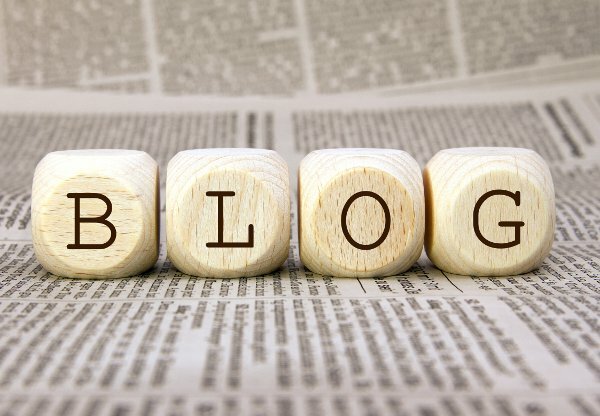 A good blog is your chance to shape your brand while making your business an authority on whatever it specializes in. If a consumer reads your blog or shares an infographic from your blog that you have posted on social media, that individual is learning about your credibility. If you know what you are talking about and your blog teaches a consumer something, inspires them to think, or sparks their interest, they are more likely to trust your brand because they see that behind the product or service is know-how. Think of it this way. Do you sell fashion accessories that are handmade with recycled material by local artisans? While you may create ads that show necklaces and earrings, blog posts for such a business could be about supporting local artisans, environmental sustainability, fashion, the downside of purchasing imported products, celebrities who support eco-friendly fashion, etc. By writing about these subjects, you begin to define your brand. Your business goes from one that sells necklaces to one that supports local economy, embraces environmental sustainability, and knows the latest fashion trends. A blog can also tell the story of you, why you started your business, or about the artisans that make the necklaces. When someone asks your customer where they bought that necklace and your customer can tell the story of a local artisan or your personal story, that is much more powerful than just stating the name of your business. For example, when people think of Facebook, the story a Harvard dropout who may or may not have stolen a 350-billion-dollar idea, or the story of Mark Zuckerberg, is a memorable one. Create and nurture a relationship with your web audience According to Business Insider, 20 percent of the time we spend online is on social media. Why not meet customers where they are? Writing blog posts and putting them up on Twitter, Facebook, Pinterest, etc. means that customers can engage with your business in a convenient way. As you establish your brand through content that informs or creates conversation relevant to your business, individuals who are interested in such will have the opportunity to comment on, ‘like’, ask questions about, share, or simply read your content. A random business someone passes on their way to work is completely different from one that makes them think and writes back to their comments and inquiries in a Twitter thread. Plus, as soon as a customer enters a store, there is a pressure to buy. They are walking into a showroom with salespeople ready to help them make purchasing decisions. Online, the social pressure is less present and customers can engage comfortably. When they are ready to buy, by already having engaged with your brand, your brand will at least be a contender that comes to mind while they are making a decision. Fuel SEO Search engine optimization, or SEO, is a fancy way of saying strategically getting your business to come up on Google Search. If people do not know and love your brand yet, they will not search for it when they need your product. Instead, they will look up search terms related to your product like reviews and relevant advice. This is your chance. If you have a blog full of articles helping potential customers understand the area and what they need, and you use the right key search terms in your posts, potential customers are going to land on your blog. For example, when a customer decides they want to buy a new sprinkler, they may look up what sprinkler is best for a small yard, as they try to avoid soaking the neighbor’s yard and passersby. If you sell sprinklers and other gardening and landscaping products and you give advice on what sprinklers are best for different kinds of lawns, this person who is ready to buy will be learning from you and will be exposed to your brand. Without coming across the blog through a search engine, the customer may only come across your product if another advice article or review recommends your product or if the potential customer is perusing the Home Depot’s web page. Blogging is, again, a way to meet your customer where they are, like searching for sprinklers on Google, rather than expecting them to know where to find you. Drive traffic to your web page As you post infographics and articles on social media or, better yet, as people cite your blog in their own posts, people will follow your blog back to your products and services. It is not wise to just write posts about how your product is the solution to every problem with loads of links, but subtle references or links that encourage your customer to learn more on your site move potential customers closer to learning about your specific products and closer to purchasing. Additionally, sometimes people who like what a blogger has to say digs deeper to learn more about the blogger and their business without even needing the links and encouragement. Getting them through the front door (or to your homepage) is a mission. Blogging is an opportunity to get them there. It's free This is pretty basic but important. Blogging has benefits like helping to establish your brand and create and nurture customer ties but there are other methods to do that. However, this one is free if you are writing for your own business. If you are writing the blog for your business, yes, it will cost you time, but you are not forking over large sums to set up a booth at an expo or pay workers to stand for days in a mall interacting with anyone they can flag down. Chances are that you are in your business because you care about and have knowledge related to what you are selling and blogging is a way to help educate customers and share your passion and interest with them. Do not be afraid to meet them where they already are and be a voice in the conversations in which they are participating and a search result when they are seeking advice.